Mercedes-Benz is renewing its SUV line. The GLE and GLE Coupé, just like the bigger brother GLS class, are being replaced in a relatively short period by completely new models. 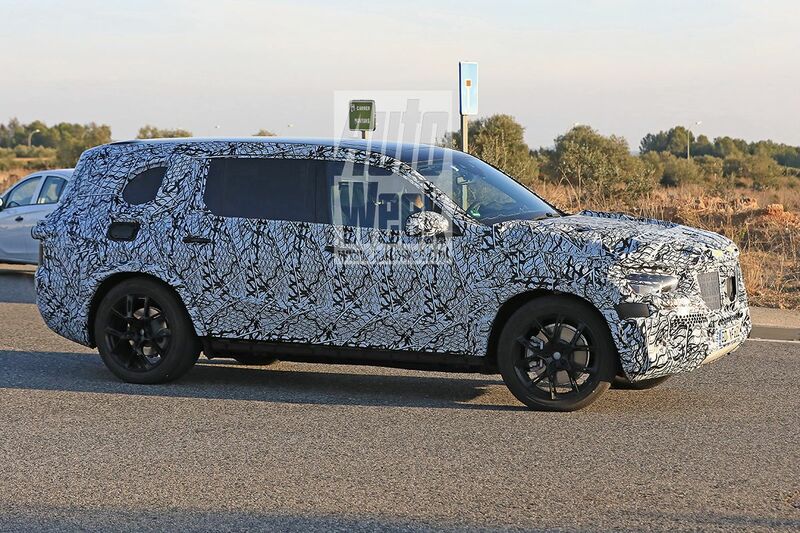 Autoweek has captured both the new GLE and the new GLS class in one spy photo session. BMW may present a completely new X5 next year and if we have a little longer patience, the brand will come up with a production version of the X7 Concept. But Mercedes-Benz is not sleeping either. New GLE and GLS models are ready to be unveiled. Mercedes-Benz gives its GLE, better known as ML-class before the facelift of the current generation, a rounder-drawn body with which the X5-competitor fits better with the rest of the current Mercedes-range. Thanks to its new MRA modular base, the weight loss of the second-largest Mercedes will be significant. After the launch of the GLE-class we can of course count on the arrival of a new GLE Coupé, a car with which Mercedes-Benz competes with the X6 from BMW. 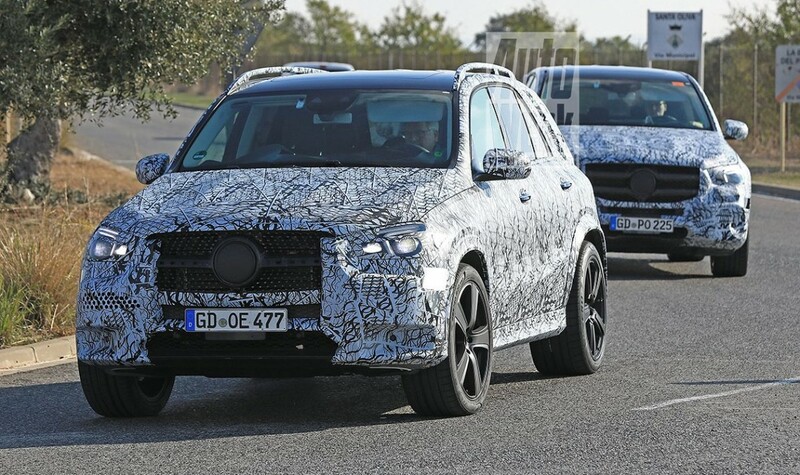 In the second half of next year, the new GLE will show its face. With the GLS, formerly GL, Mercedes-Benz had since 2007 an SUV that in every way towers over its smaller GLE brother. The second generation that is still in Mercedes-Benz showrooms is being followed by a completely new model in 2019. Just like the GLE, the GLS also gets a more modern Mercedes design. Once again the GLS is a giant, the car looking even bigger than the current one in the photos. Naturally, the car benefits from the semi-autonomous techniques that Mercedes-Benz has rolled out over the S and E classes, among other things.